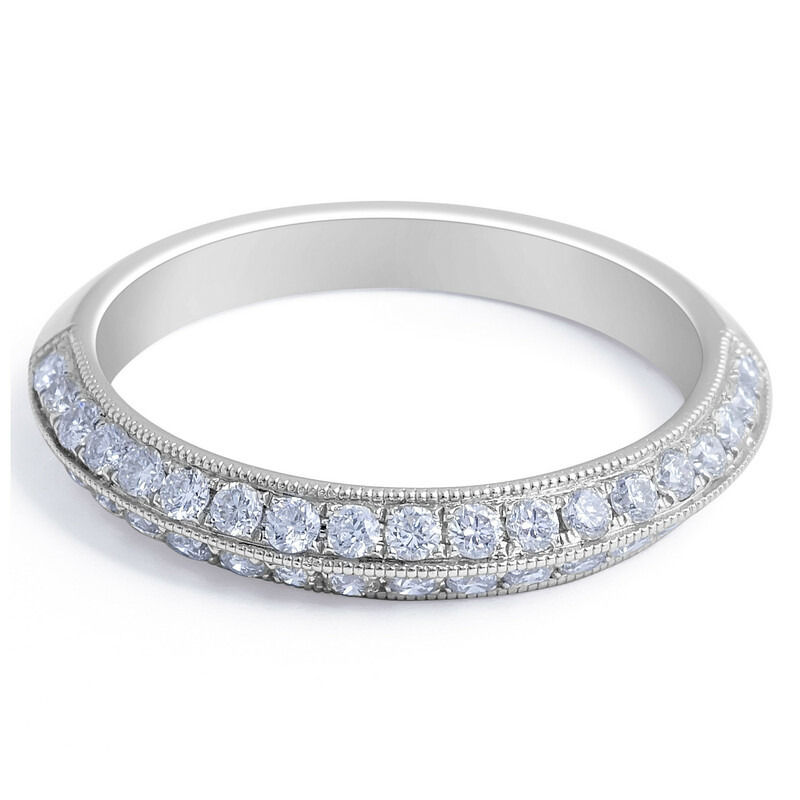 This vintage style knife edge 18K white gold diamond wedding band has 38 round diamonds totalling 0.54 Carat in grain setting. 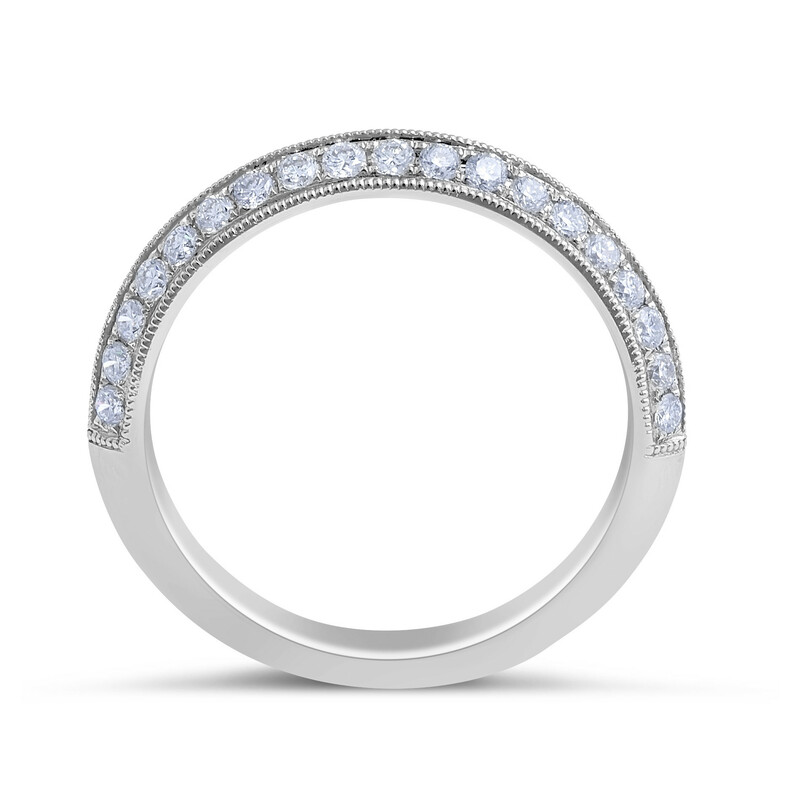 The design allows the beautiful sparkle diamonds to be seen from every directions and the gorgeous engraved details enhance the shape of the ring. 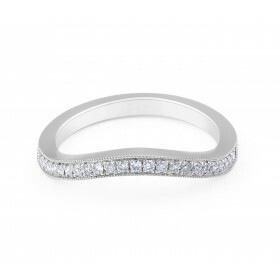 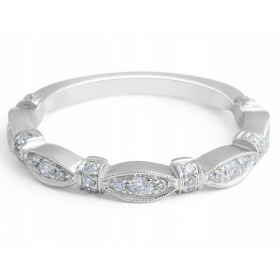 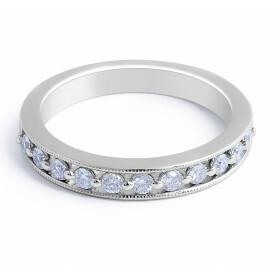 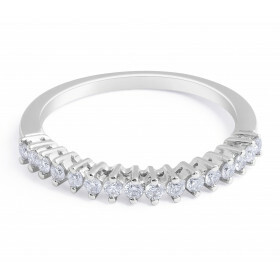 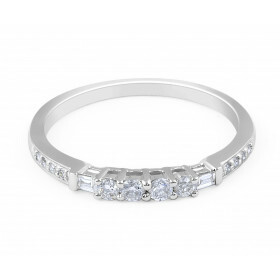 This wedding band gives a wonderful contrast when combined with most engagement rings. It suits a woman who is confident in her style and loves good design. 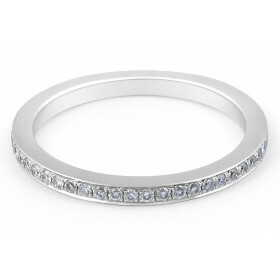 18 Karat Diamond Wedding Band in Grain set 38 Round Brilliant Cut Diamonds Total 0.54 Carat Gold weight: 2.64 g.